Both the old and new crop wheat market has firmed over the past week, both on the futures screen and physically on the farm. Feed wheat for spot collection is currently valued at £176.00/T ex-farm whilst movement into the New Year is offered at £180.00/T ex-farm. For those of you who missed previous opportunities at this level – it may well be worth some consideration, please speak with the office to discuss your requirements. As for feed barley, £170.00/T ex-farm is offered for November collection. Spot demand appears to have waned over the past couple of weeks – a small but second cut of silage over the past couple of weeks appears to have calmed things down on the buying side. Regardless, there remains a historically small premium between wheat and barley. Customers who are looking to sell wheat and buy in barley against it for feed rations are actually having to pay a small difference to cover the haulage costs – usually we are the ones paying them the difference. Although the amount of cereals used within feed has increased, feed rations appear to be changing due to the current condition of the market. According to the latest figures from AHDB, the amount of cereals used to produce UK animal feed in August increased to an all time high, presumably due to issues with forage production this year. However, we have seen a slight change in rations compared to the year previous. Wheat usage has slightly increased, whilst maize corn has seen a substantial increase in use, a 35% increase on the year previous. As for barley, usage has decreased by 8%. Most significantly, oat usage has increased this August to 6,000 tonnes – a staggering 87% increase on the year previous. The future of barley values is therefore uncertain and the above is a reminder of how adaptable some feed rations can be – particularly if there is a decent enough price incentive to try an alternative. As for new crop wheat, harvest 2019 collection is offered at £160.00/T ex-farm. Further forward, November collection should achieve £4.00/T more than this at £164.00/T ex-farm. OSR has suffered a volatile week with spot ex-farm values fluctuating anywhere between £318.00/T – £325.00/T ex-farm. The higher value attracted a fair bit of market attention and with this-mornings indicated value around the £320.00/T ex-farm mark, it currently looks like a good trade. Threats of a Russian export ban / tariffs / restrictions etc continue to circulate the market but there has been no formal confirmation of this. Regardless, the trade appears nervous and the ongoing rumours are keeping current values buoyant. The dry weather over in Australia has continued to make headline news over the past week as the situation intensifies for drought hit crops. As winter wheat crops enter a key growing period for yield determination, speculation is rife regarding the outlook for production prospects this season. Following the driest September on record (33% down on average), the Australian government have further revised down its forecast of domestic wheat production to 19.1 million tonnes, an 11-year low. 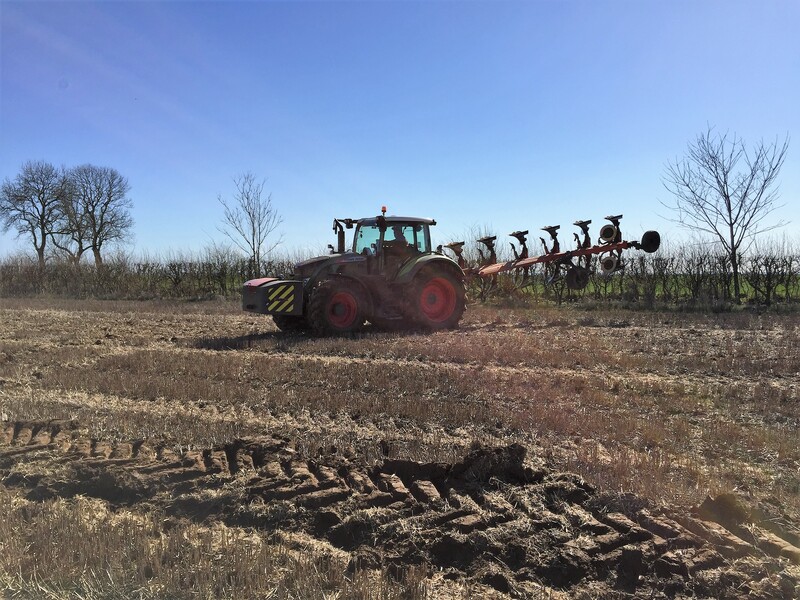 According to AHDB, “the east of the region which has been worst hit by the weather is forecast to receive some rain this week but at this late stage in the season, any relief could be of limited benefit”. Furthermore, average temperatures for September were also marginally higher and have likely “exacerbated the stress on the already drought hit crop” and reduced pasture growth. As a result, wheat exports could further tighten – both due to poor pasture for cattle and an overall reduction in output. Closer to home, the Scottish government have confirmed “reduced prospects” for this season following the adverse weather hit year. Scotland’s most widely grown crop, spring barley, is provisionally estimated at 1.33 million tonnes, a 7% decline on 2017. “Crops sown prior to the arrival of “the beast from the east” were the most severely impacted, with yields down at least 10% on average for most. As for winter wheat, total production is estimates at 807,000 tonnes, a 9%decline on the year previous. This is however attributed to “difficult autumn planting conditions” rather than the poor spring weather.